Are you interested in increasing your 1 kV insulation line production speeds by 20%? 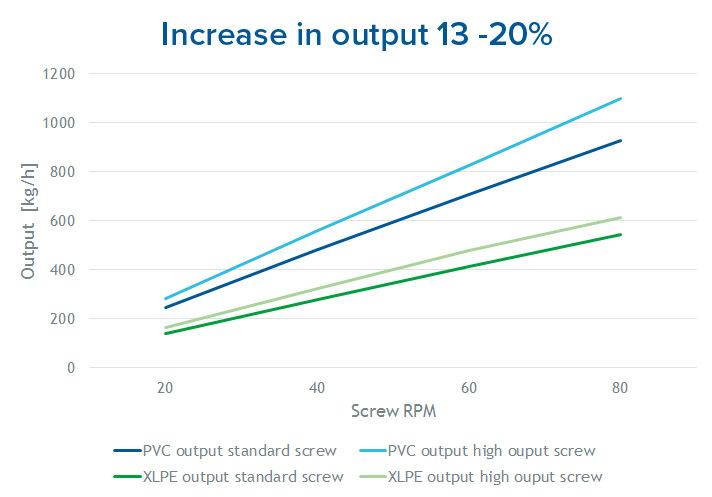 In a proven customer case significant line speed improvements were achieved when a standard screw was changed to our high output screw in a 120-24D extruder. A comparison was done between 120 mm2 and 240 mm2 sector shape conductors during a trial production of XLPE insulated conductor. With a standard screw the 120 mm2 conductor was produced at 170 m/min and the 240 mm2 conductor at 90 m/min. Production speeds with our High Output Screw Value Package for the same products were 200 m/min and 110 m/min. The corresponding increase was 17.6 % and 22.2 %. Higher throughput due to the new screw design, and improved temperature control. 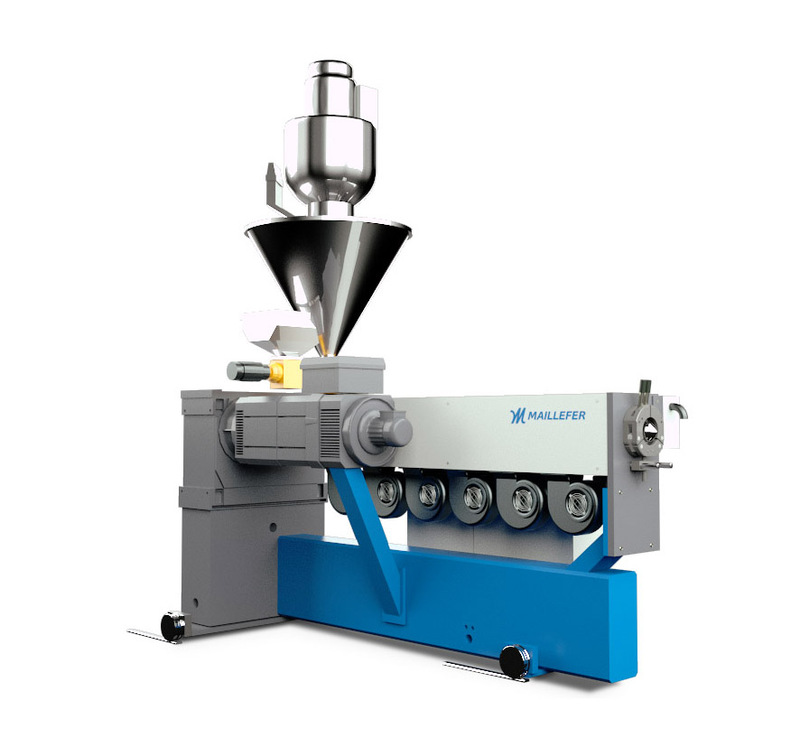 In addition, compared to Maillefer’s previous generation extruders, you will enjoy an increase of PVC, XLPE (silane co-polymers) and PE of up to 15 – 20%.